A non refundable deposit of £60 payable within 3 weeks of booking. Balance due to be paid 6 weeks before Holiday. If booking within 6 weeks of Holiday full amount payable with booking. Just let the World pass by. 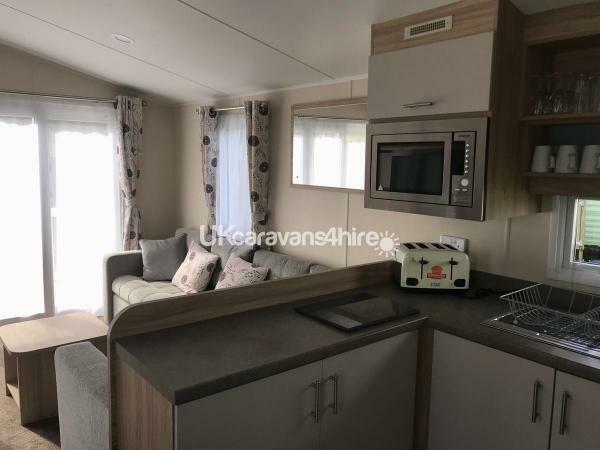 Have a relaxing weeks Holiday doing as much or as little as you want, let the fishermen fish well you go for walks around the park or even go swimming or maybe you fish as well.Perhaps just sit around the caravan and chill. Then in the evening go to Quintrell Downs and enjoy a lovely Meal then back on site for the nights entertainment. The holiday is yours to do as much or as little as you like. 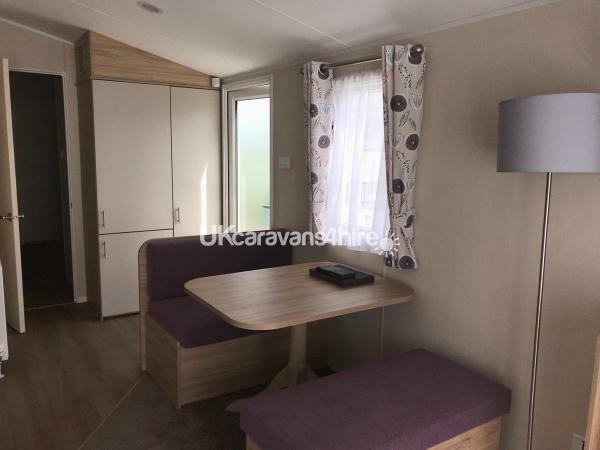 Our Caravan is a brand new 8 Berth placed on site this year 2019. White Acres is the ideal spot if you are into your Fishing or if you want a central starting off point to tour around Cornwall. The 13 lakes have something for all fishermen from novice to the specimen hunter from junior to senior. You have the beaches of Newquay. St Austell and lots of other places Cornwall has to offer not far away. 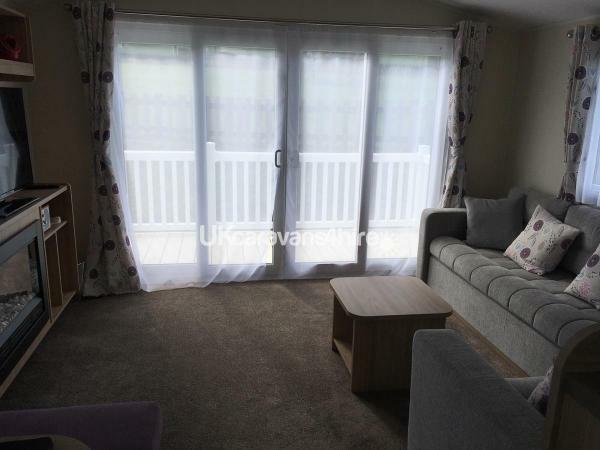 Ideally positioned next to kids play area with decking so you can sit and relax with your coffee and watch the kids play. The decking has a gate so if you have a young child with the gate closed they can play on the decking. 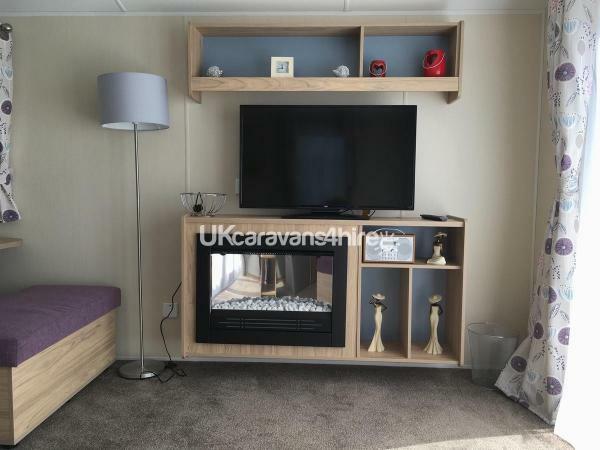 With a watchful eye on them of course.The Caravan is only a couple of minutes walk from the Swimming Pool, Club and Amusement Center and Shop. 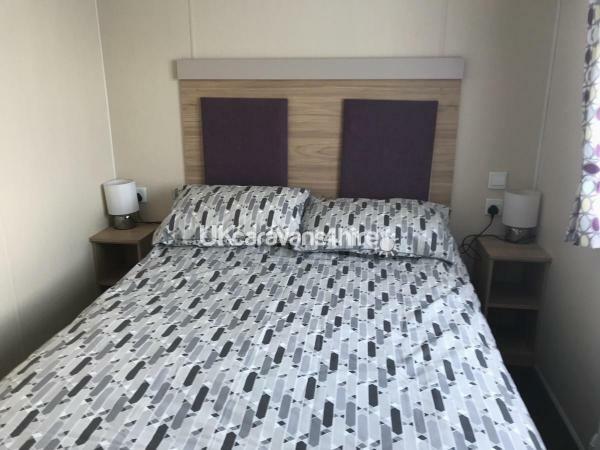 The caravan is fully equipped and bedding supplied. To use the Club on White Acres Holiday Park you will need to purchase an entertainment pass from the Reception at the entrance to the Park. 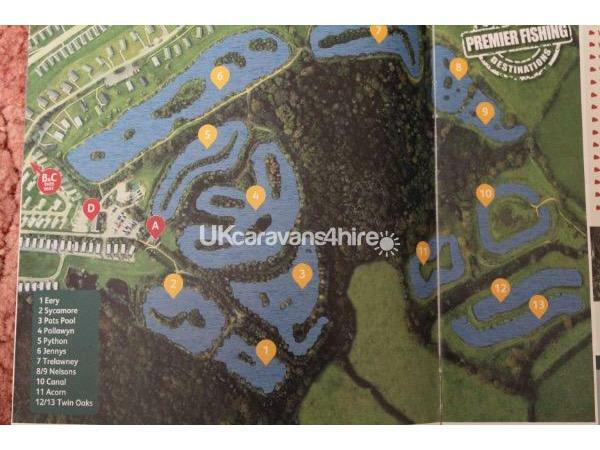 There are 13 fishing lakes at White Acres Holiday Park that you will need to obtain a permit from the well stocked fishing lodge. 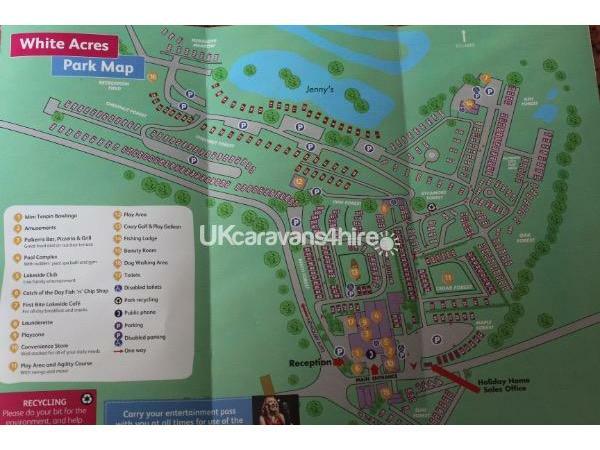 Please note that you are only allowed to fish any of the Festivals if you are in a Parkdean Caravan not a Private one. There are matches which are open to all on the site,and you are welcome to fish the lakes as a plesure angler, just fish your own way. 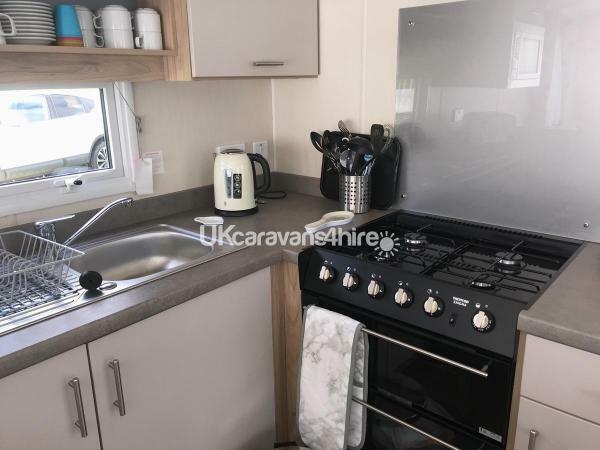 On site you have a Fish and Chip Shop, a Resturant to enjoy an evening meal which also does take away pitzza also a Cafe near the lakes for Breakfast. 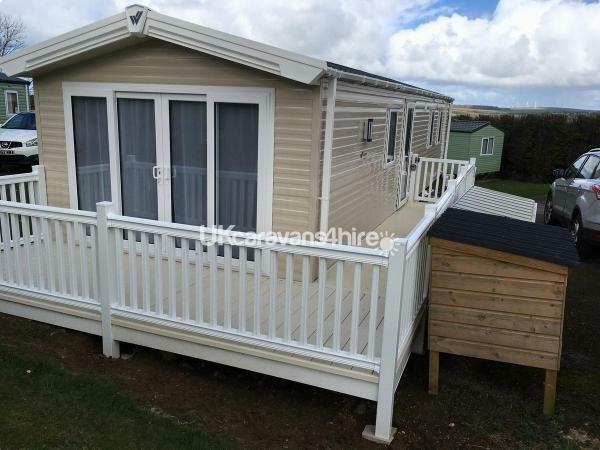 The caravan is fully Double Glazed and has Central Heating which hopefully you will not require with the great Cornish Weather. 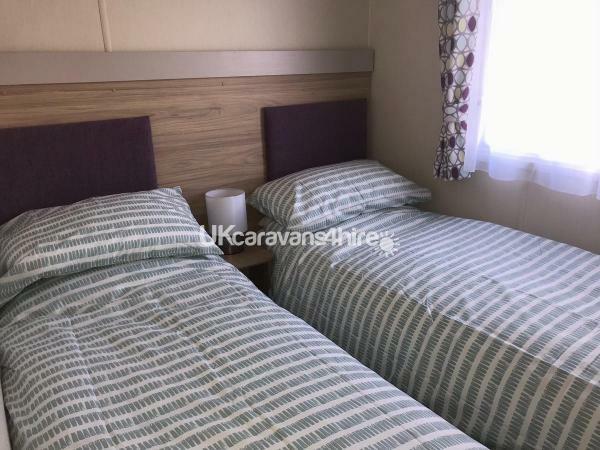 The caravan has 3 bedrooms,1 double and 2 with twin single beds. The main bedroom has a television with DVD player, each of the twin bedrooms also have televisions.The lounge has a double pullout bed. The main double bedroom has an en suite toilet. The other toilet is in a separate room with the shower. There is a full size fridge and separate freezer so you can do all your shopping and not keep having to run to the shops. 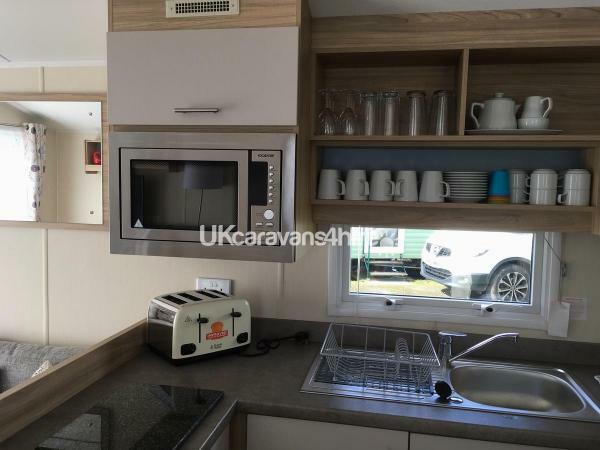 There is a microwave and a full size cooker with a gas hob. In the lounge you have comfortable seating. TV with DVDs player built in. Outside you have your own parking by the side of the caravan on Tarmac. There is also a large storage box for your bait and tackle. Please no bait or fishing tackle in the caravan. Holidays are Sat to Sat. Check in is from 3 pm and the Caravan left by 10am on day of departure so that we have time to prepare it for our next Guest. Look forward to your booking with us. Have a great holiday. May the sun shine for all of your stay.